Dreams have finally come true after all the unbounded opportunities. 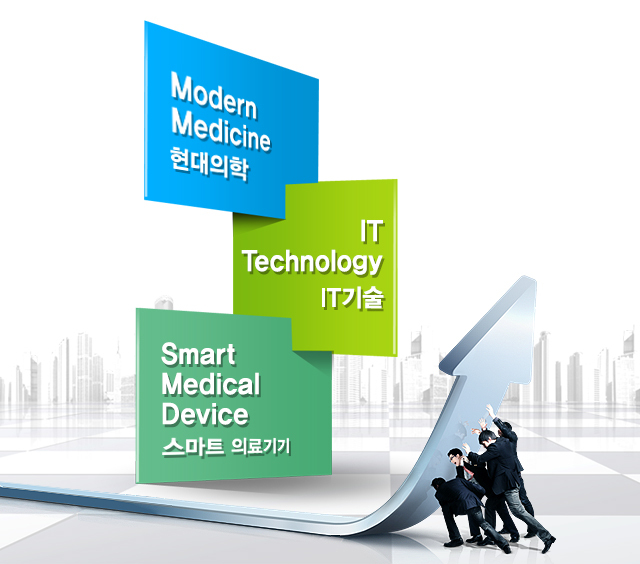 This is “SmartMedicalDevice”, a place full of challenges and passion. SmartMedicalDevice Co., Ltd. is a corporation that provides a new concept of smart medical appliances produced by the amalgamation of modern medical science and IT technology. 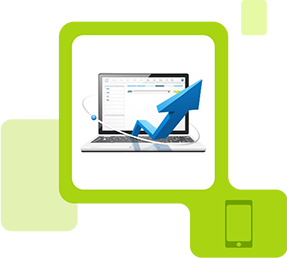 Through the development of smart phones and wireless internet, health care services, such as teleconsulting, have revitalize and a variety of innovative medical appliances combined to smart phones are constantly being produced. 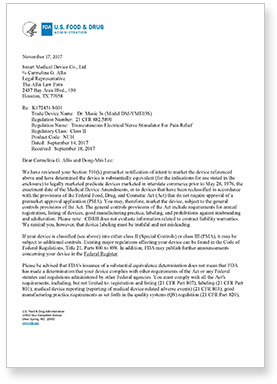 Many businesses in the same industry also tend to develop existing medical devices in a way that will help people check their own physical conditions or get simple prescriptions. 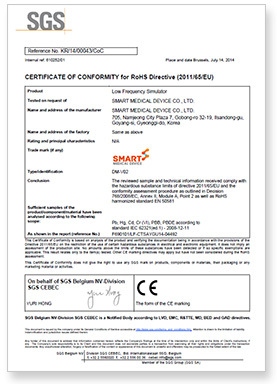 Smart Medical Device, which leads others in such market needs, is ready to make forays into larger markets worldwide. 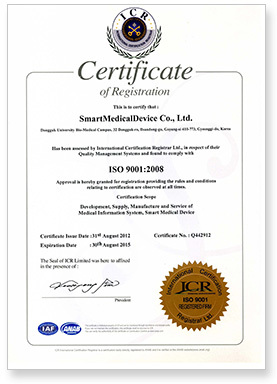 Smart Medical Device will endeavor to pioneer a new medical market through the amalgamation of smart device and medical services. 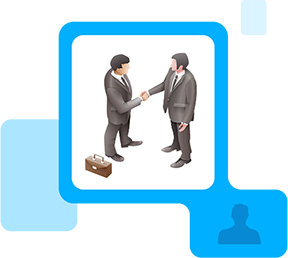 It will provide handy medical checkup Apps and smart medical devices to household and hospital to promote a pleasant and healthy life for humanity. 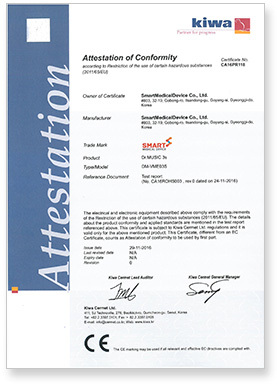 Name of company SmartMedicalDevice Co., Ltd. 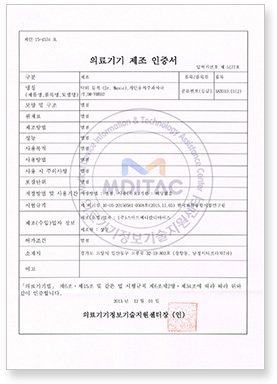 Many years’ experience in the clinical field, diagnostics lectures at universities, and medical device development. 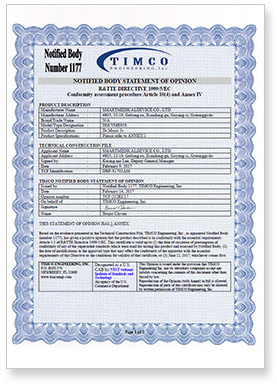 Verification and analysis of medical data collected through bio-sensors. 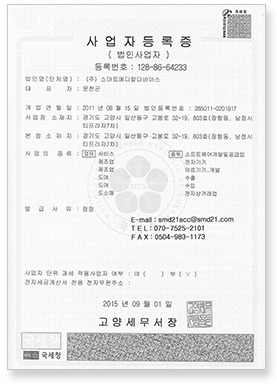 APEC M2M link, ebXML EDI repository design. 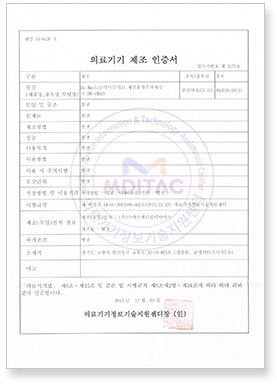 CDMA / GSM mobile communication module development, multi-year mobile/ICT planning and development. 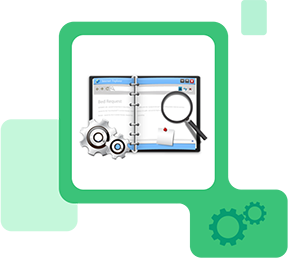 Product planning, R&D, design, production and verification are possible. 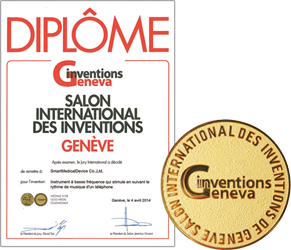 The International Exhibition of Inventions of Geneva, along with the Pittsburgh Inventions Exhibition and the Germany Inventions Exhibition, is the world’s most authoritative exhibition specializing in inventions and new technologies. 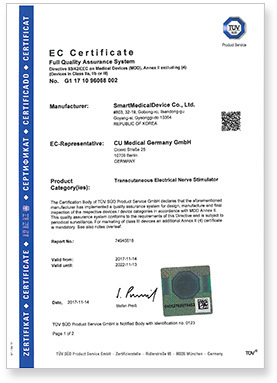 Smart Medical Device received the Gold Prize at the event for its smart phone-associated, low-frequency stimulator. 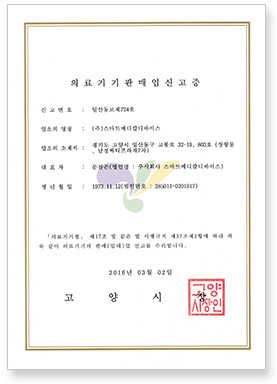 It was a meaningful occasion since our painstaking efforts have borne fruit. 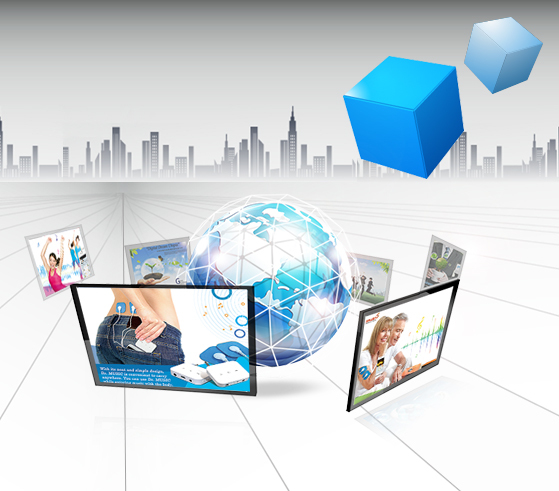 We will continue to develop high-end products using information technology coupled with medical devices. 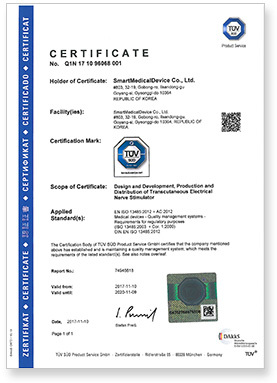 In recognition of its contribution to development of the local economy and job creation, and its advanced technology and high growth potential, Smart Medical Device Co., Ltd was selected as one of Goyang’s ten best small and medium-sized businesses in 2014. The ten best companies are selected on the basis of their contribution to local economy development and growth potential. 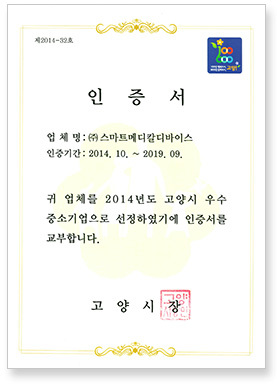 With the ten best companies, eight financial institutes and the Gyeonggi Credit Guarantee Foundation signed an MOU to provide loans of up to KRW300 million and grants (at less than 3% of the standard interest rate). 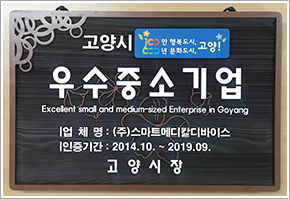 Companies that are selected as a best small and medium-sized company by Goyang receive priority in receiving business support funds and participating in projects led by Goyang City and other local authorities. ‘Pittsburgh Invention & New Product Exposition’ from USA is one of the top three invention expositions along with ‘Germany International Invention Exhibition’ and ‘Geneva International Exhibition of Inventions,’ and is a huge exhibition that displays exhibitions from about 28 countries. This is a place where we promote the excellence of domestic inventions to foreign markets and prepare the bridge for market pioneering through recognition for such excellence. 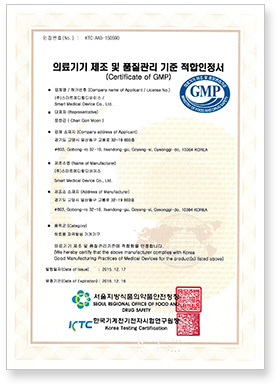 It contributes to national industrial development through securement of export base and increase in export and strengthening of international cooperation by solidifying the bond with invention and patent-related groups of participating countries. 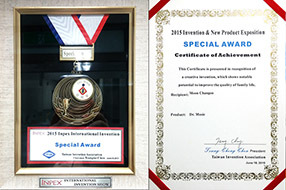 In this exhibition, ‘Dr.MUSIC’ was awarded with the Special Award. 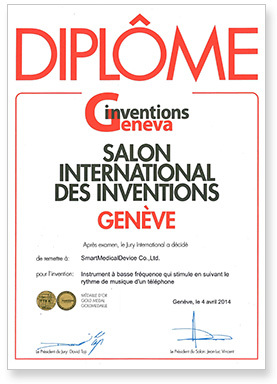 We believe that the excellence and the creativity of the product was acknowledged globally through the second-time award in the international invention exhibition, after the Gold Award in ‘2014 Geneva International Exhibition of Inventions.’ This will be an opportunity where ‘Dr.MUSIC’ will take a further step to the global marketplace. 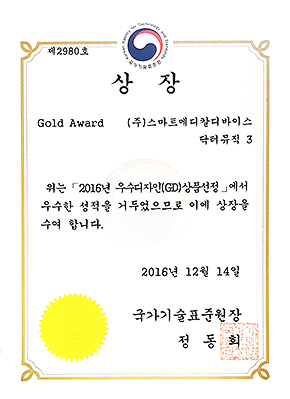 Smart Medical Device Co., Ltd. received a gold prize at ‘Good Design2016’ which is the best honorable design award in Korea. 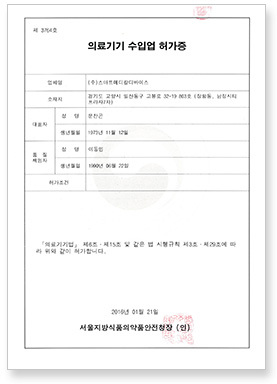 Good Design award, sponsored by the Ministry of Trade, Industry and energy is organized by the Korea Design Promotion Agency. Good Design is as one of the three major design awards in Korea, along with the Pin-Up Design Award and Korea Design Award. After comprehensively examining the appearance, function, material, economy, etc. 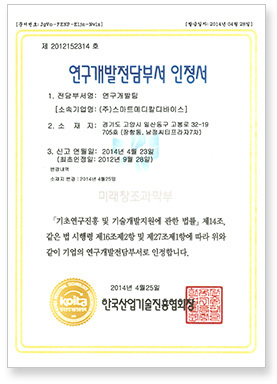 of the product, GD (GOOD DESIGN) mark is given to the product for which design excellence was recognized. 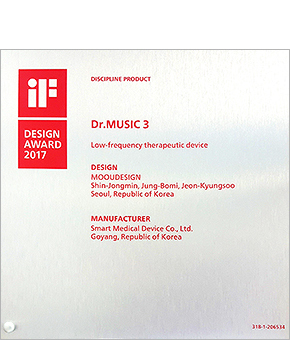 A personal low-frequency stimulator ‘Dr.MUSIC 3′ of Smart Medical Device Co., Ltd, won the ‘iF Design Award 2017′ in Germany, one of the top three design awards in the world. 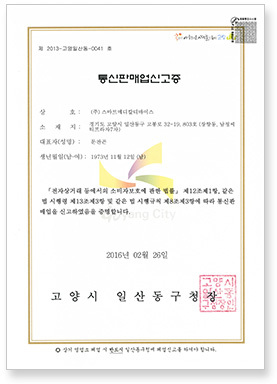 iF Design Award is a competition held by IFD (International Forum Design), a consulting firm in Germany. It is a public design contest featuring 60 years of tradition. 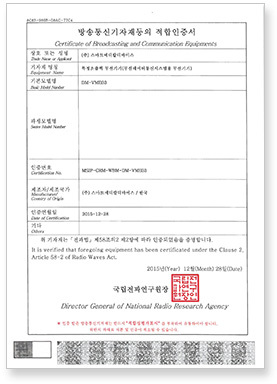 Dr. MUSIC 3, a personal low-frequency stimulator that won the design award in the field of medicine / healthcare, is a wireless low-frequency stimulator that is connected to a smartphone by Bluetooth. 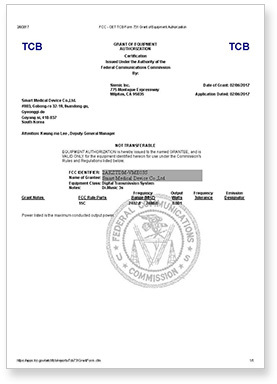 It is controlled by a mobile APP. A low-frequency stimulator that produces a real-time low-frequency waveform by a bit of music.